Goodreads: Some of the stormy weather of the past few seasons seems to have finally lifted for the Quinns. After a year apart, and an ill-fated affair with the Winter Street Inn's old Santa Claus, Mitzi has returned to rule the roost; Patrick is about to be released from prison; Kevin has a successful new business and is finally ready to tie the knot with Isabelle; and best of all, there's hopeful news about Bart, who has been captured by enemy forces in Afghanistan. Kritters Thoughts: The third in a winter series in which you most definitely need to start at book one, so don't proceed if you haven't read book one or two. This is the continuation of the Quinn family and what I love most about this series is in each book, a lot of the characters get their chance to tell their story where they narrate a few chapters in each book. In this book, Mitzi and Kelley are back together. Bart is still missing in action. And Ava is in the middle of two guys and trying to make decisions. I loved this continuation of the series. I loved almost all of the characters arcs and loved reading from where they started to where they ended up. These books are so good to read during the holiday season, whether you read all of them in a row or one per year. 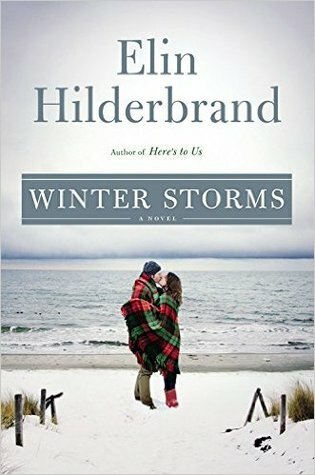 I don't always love Elin Hilderbrand's "summer" books due to the plot lines involved, but the plots in these winter books are completely centered on family and I love it. I love the big families with siblings and spouses and kids, the books seem so full of real life and family drama. Tomorrow I am reviewing the final book in the series, book four.